Who doesn't love a fresh bushel of strawberries straight from the farmers market? Perfect for sweetening up a simple ensemble, these women's socks are anything but garden variety. Made in South Korea. 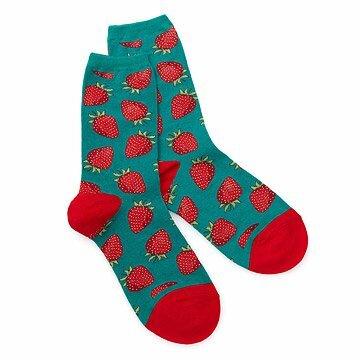 Make sure your ensemble is always in season with these charming strawberry socks.